Beat Thrillerz is a project from DJ/Producer, Mickey Bono. 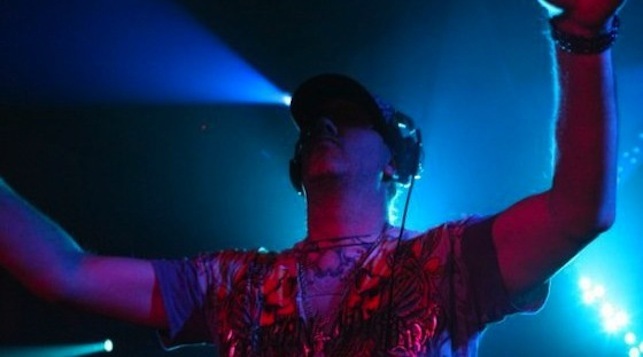 Based out of Orlando, FL, he has been DJing and producing music for over 15 years now. He earned a degree in Music Production and Engineering from ARTI (Audio Recording Technology Institute). Mickey began his professional production career with the group K5. K5 was signed to Robbins Entertainment/BMG in the US, ISBA Records in Canada and Universal Records in Germany. K5 had a Billboard Magazine Hot 100 hit with the song “Passion”. Mickey’s last song with K5, which he wrote and produced was their hit 2001 single, “Lovin’ Feelin’”. In 2009, Beat Thrillerz released their own version “Your Love Still Haunts Me” featuring Canadian singer Elissa. The song was licensed to Canada’s largest independent dance music label SPG Music. On September 28th 2009, the song’s video became the #1 video on Canada’s BPM:tv Hot 20 Dance Music video countdown show. In 2010, Beat Thrillerz remixes of Marcus Knight’s new single “Throw Me Down” and Beat Thrillerz featuring Vyce “Unattainable Crush” were released on Australia’s Generation Records. In 2011, Mickey collaborated with Phunk on the production team Granite & Phunk and U.K. vocalist Katy Allen to produce, “Lose Control” released on Next Plateau Entertainment. New Beat Thrillerz remixes include Samuele Sartini featuring Amanda Wilson “Love You Seek”, Hamel, St. Croix, & James featuring Mezo “2GetherAs1”, Ron Reeser & Dan Saenz featuring Jennifer Karr “City Of Kings” and Micro featuring Dhany “On Your Road. You can hear Mickey Bono of the Beat Thrillerz “Seduction Mixshow” worldwide weekly on RadioDanz.com.